That seems to be the dilemma with the season change. The Smith & Wesson Shield is probable the most popular firearms right now because everyone is getting them with a $75 rebate and from a local gun shop. It’s still cold this May of 2017 in Pennsylvania, but as soon as it gets hot, it’s pretty much shorts and a t-shirt for most of our customers. 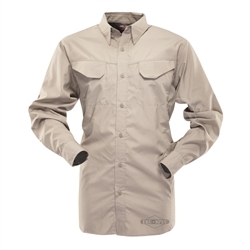 We’re actively researching new products lines because many of the pocket carry friendly clothing brands we use to sell are no longer available. It’s also getting harder and harder to find real CCW vests because so many of them are overly designed and tactical. 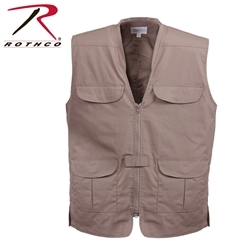 The Rothco Under Cover Travel Vest and the Rothco Concealed Carry Softshell vests are exactly what caught our eye that we knew our customer base would like. We’ve only been selling their products for a few months but they are reasonable priced and cut for CCW. 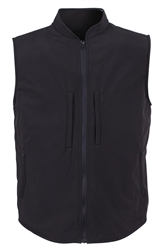 There are other Rothco Concealed Carry Vests, but I wish there was a 100% cotton version of the Rothco Professional Concealed Carry vest because it looks exactly like the Eotac 102 lightweight vest that so many IDPA competitors wore, but it is slightly heavier weight which might be an issue with some of our customers. Lately I have been carrying different gear with me at work and during classes. Recently I was on a road trip and re discovered ankle and shoulder holsters and forgot what it was like to carry in those positions while driving 8hrs in a day. There are plenty of reasons to consider ankle carry holsters but they are really meant for backups. One thing I have noticed with various tactical pants is the cut of the pants near the ankles. Not that I think people need bell bottom pants but this is something to seriously consider when you are carrying in this position. 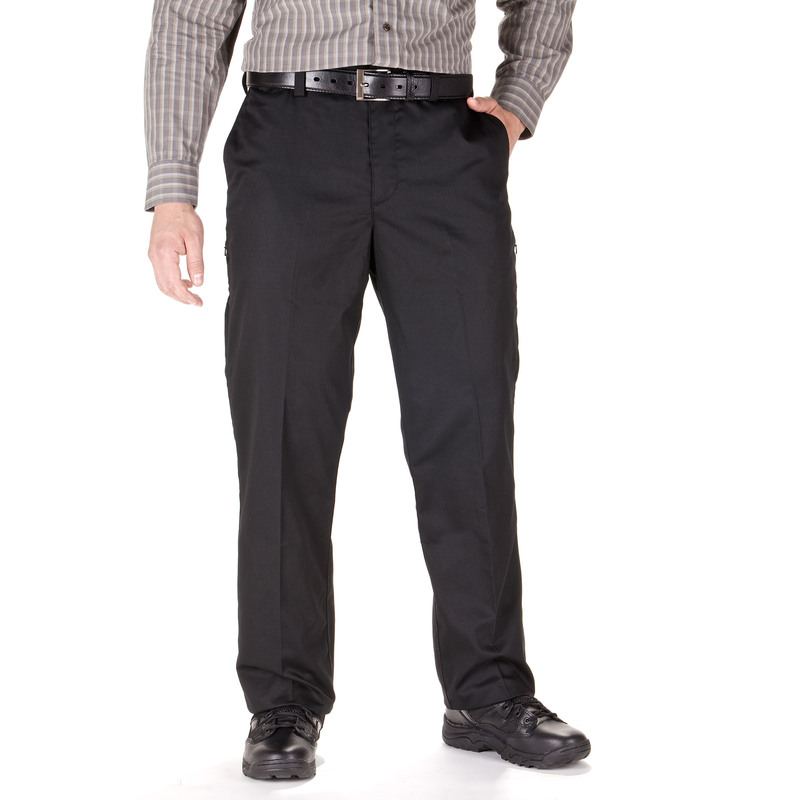 Some styles of pants will not give you the movement you need and you will end up with your pants riding up on you. When it comes to carrying handcuffs and batons, wallets and other paperwork, you are going to see huge differences in the types of pants out there. Call me an old timer but I still don’t have Vertx tactical pants in my wardrobe although in 2013 I plan on getting some. I have found I have learned to love the Blackhawk lightweight tactical pants because they are holding up very well to all of the useage I have given them and the only negative I have so far are the lack of a left side wallet or ID pocket. The pockets are a little too deep for a wallet and I often feel like I lost it because it’s about 2-3 inches lower than it normally would be. It’s not just about the material like 100% cotton ripstop or 65/35 poly cotton ripstop. We have seen the tactical clothing market explode in the last 10yrs and have seen companies come and go. Some of the companies we sold products for were really original and well made but they just didn’t get their foot in the door and gain traction. Some of the products were, even though well made, not easy to sell online because people wanted to hold it in their hands or try it on to make sure it fit them. Some of the sizing issues aren’t just about chest sizing it’s also arm lengths and waist tolerances. I have been using the Woolrich Elite 44903 tactical vest for almost 8yrs and it has very good durability and very comfortable compared to some molle vests. 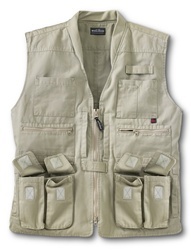 The 44903 vest is a cotton canvas tactical vest and has so many pockets that only a well organized individual won’t have problems losing his gear in it. You will have a place for a radio, water bottles and the Woolrich Elite Series tactical vest has plenty of room to hold 4-8 magpul pmags depending on how you stack them. The new Gen 3 pmags are a little thinner so you will easily be able to stack on 8 magazines and even more depending on how crafty you are with your pocket usage. The rear pocket, I find is good for elbow pads and gloves. Woolrich Elite nearing the end? 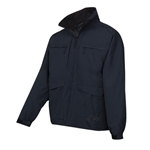 Its looking more and more like the Woolrich Elite Series Tactical product line is no more. We’ve seen several clothing companies and various other tactical gear manufacturers pull out of China and the task of retooling the the machines and launching the products in a bad economy have been rough. 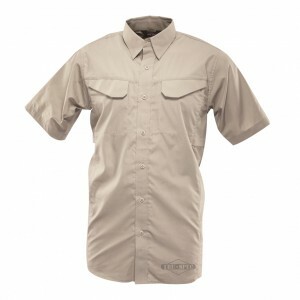 We recently heard that Tru-Spec is now making their clothing in Honduras which is a major shift from our standpoint because just about everyone making tactical clothing came in from somewhere in Asia. India, Cambodia, Vietnam, China it seemed like everyone had a manufacturer over there, but cost increases have really hit some companies and from what we see it can cause a certain percentage of your customers to switch to another brand. Now that we have such a large Law Enforcement customer base, many of these guys and gals have a clothing allowance and increase the cost of tactical clothing by $10 per item means they may can few items. 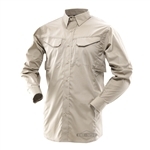 The differences between 5.11 tactical and TruSpec shirts are considerable as far as pocket designs and such, but many of the Tru-Spec and 5.11 tactical clothing products are made of similar materials. The differences are quality control and sizing consistency. We here so many complaints about 5.11 products getting expensive and the truth of the matter, they are not the only ones, Vertx pants are usually over $60, Woolrich Elite $50 and from what we see Tru-Spec products from Atlanco are the best priced products.